The highlight of this experience is the the fact that the puzzles are integrated with actual props and 100 year old artifacts from a magician named Thayer. I imagine that a magic enthusiast might know who this was and after a Google search I all I could find was that he was the founder of a magic company. The game also took place in The Battery, which is a members only club in downtown San Francisco so an exclusive location was also touted as a plus. A complimentary drink was included with the $100/person ticket. Our session had about 90 people in the room sitting at about 12 different tables. The room itself was a fancy hall room but didn't seem to have any special or large set pieces, although you could consider the enormous number of puzzles themselves to be part of the decor. There was about 5-6 puzzles per table so about 60-70 puzzles for 90 people. You could tell that the creators were extremely passionate about magic and the collectioner items that were integrated into the story. At our table, we had puzzles that were linear, tangible and fairly simple but very thematic while other tables seemed to have more novel creations. There were some elements of collaboration with other tables for some puzzles, but our table was self sufficient and we also did not have any elements needed by other groups. Our group had quite a few enthusiasts and we completed our tasks in less than 30mins and there was a lock malfunction that stalled us for a little while. Although everyone was encouraged to go around and help other tables, 8 strangers solving one puzzle at another table was more than enough bodies so jumping in didn't feel appropriate. The passion in the eyes of the designers while they explained the story was genuine and inspiring. These guys truly love what they do and they have fun sharing their passion! Cost. $100/person ($800/table) for less than 1 puzzle/person is exorbitant for an escape room enthusiast as there wasn't enough to do. The limited showings (only 4 total showtimes in San Francisco and more in LA) was likely what created the high price tag. This may be due to the nature of the puzzles that are embedded in artifacts that could not be subjected to the wear and tear found in normal escape rooms. All 12 tables finished their puzzles in record time, to the surprise of the designers. We saw people on their phones for 45min waiting for other groups to be done. If this were viewed in it's entirety and all its ~70 puzzles, it would be grand but as a group, we only got to see 6 of the 70 puzzles. 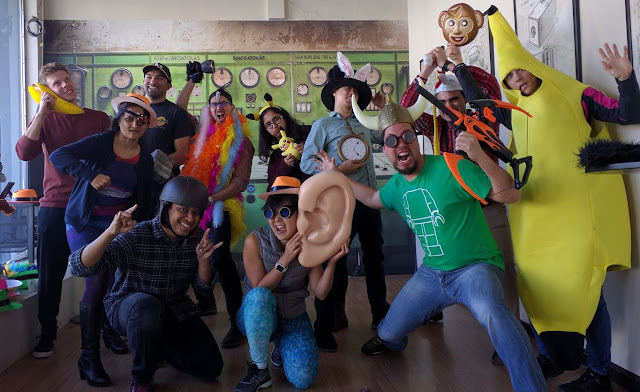 The people in the room who loved the experience had not done any or many escape rooms so a vastly different point of view from seasoned escape roomers or puzzlers. We understand that this was not billed as an escape room but it has the same format as other events that are escape rooms. One novel idea that could make this experience significantly more enjoyable for enthusiasts would be to allow groups to roam around to different tables/stations and try out different sets of puzzles that are reset for every group. In this case, the groups that finish off their puzzles quickly would be able to get in 20-25 puzzles in a full 90 minute experience. Rotating between stations every 10min would also expose people to 9x as many puzzles as the current experience has although this would be a challenge for newbies. One random point about The Battery: Participants were given drink tokens and "access" to the club so after the game, some people went down to the bar for alcohol and an expensive meal. After being explained all the menu items, one of our group members ordered food was told later on that only members could order. 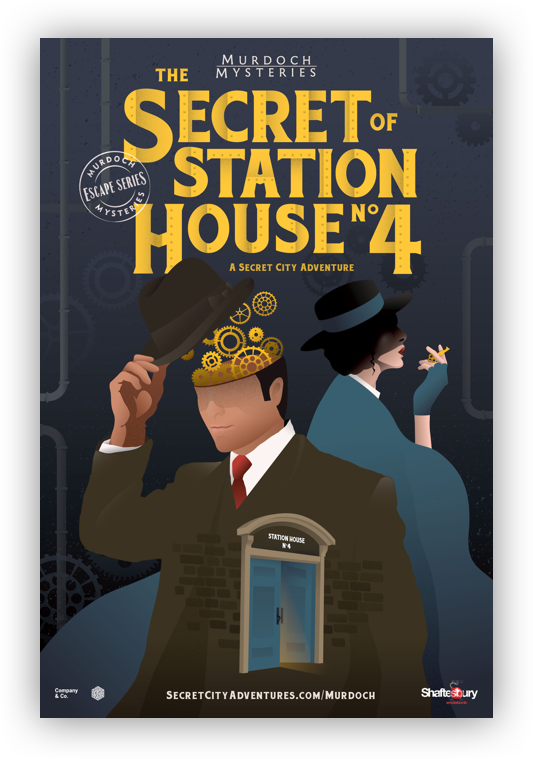 If you are a magic history fan and appreciate playing with magic props/artifacts and are price insensitive, then you may enjoy this experience but even at that, playing a good escape room at a third of the price feels like more fun. This rating is relative to other escape rooms we have played.